Does Multilateralism Benefit Human Rights? Vienna, 03.10.2016 (Providence) – It is virtually an article of faith that multilateral approaches are the morally superior way to address human rights problems. Unilateralism is a term of approbation that emerged as support for multilateralism became de rigueur. Promoting human rights unilaterally is associated with national chauvinism and cultural imperialism, something that even contradicts the idea of universal human rights. But deteriorating respect for human rights principles, in particular for fundamental civil and political rights, and the increasing bureaucratization of human rights compel us to question those assumptions. International human rights standards are essential. They provide civil society groups and political activists at the national level with a framework to measure the performance of their governments, and to demand compliance with the overarching ideal of individual rights and freedoms. 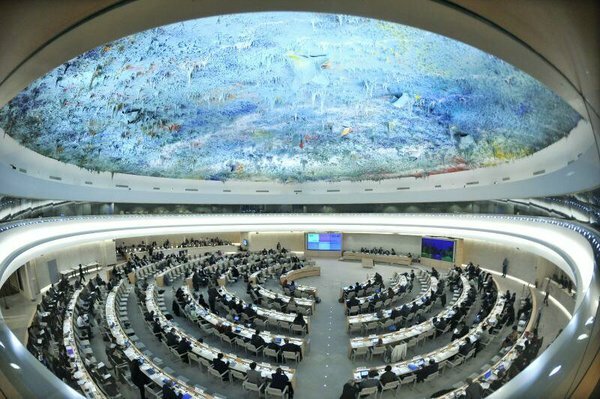 The over-emphasis on human rights multilateralism, despite its paltry results (not to mention the expanding range of human rights claims), has undermined faith in those standards and, indeed, faith in the idea of human rights itself. Since the Second World War and the formation of the United Nations, the number of inter-governmental institutions has mushroomed to about 5,000, and promoting and working within multilateral institutions has become a growth industry promoted by a globalist elite. International institutions focusing on human rights have brought nations together to agree on common human rights obligations and to contribute to promoting human rights. In the European and North Atlantic area, they form a complex and overlapping human rights “architecture” including the United Nations, the Council of Europe, the Organization for Security and Cooperation in Europe (OSCE), and the European Union (EU). High level bureaucratic positions have proliferated: In addition to the UN High Commissioner for Human Rights and around 40 special UN human rights mandate holders, the Council of Europe, which is purely an intergovernmental human rights organization, has a “Human Rights Commissioner.” EU has a “Special Representative on Human Rights” and just appointed a “Special Envoy on Freedom of Religion or Belief.” The OSCE operates a large human rights center in Warsaw, while the EU has the Fundamental Rights Agency in Vienna. Establishing institutions and “high level” positions provides an illusion of doing something about intractable human rights problems, but it is essentially kicking those problems upstairs, into a region of largely symbolic activity shared by a narrow range of actors far removed from the struggles of women and men facing repression. International human rights institutions have almost no coercive power. But the proliferation of those institutions has been actively promoted by members of the civil society human rights community, which has developed an obsession with the authority and prestige of the international political world. They often allow mechanisms and processes that have little concrete impact to absorb their energies. At the same time, human rights has been transformed largely into an intergovernmental project, taking the focus off the role of civil society. The number of international civil servants working in international institutions and focusing on human rights numbers in the thousands, and the cost to taxpayers, and potentially to independent groups, is significant. Cash-strapped liberal democracies pay out huge sums to support hungry intergovernmental organizations and have little left over to grant to nongovernmental organizations. While paying frequent lip-service to the importance of local and international NGOs in campaigning for human rights, a tendency toward human rights statism is palpable as the role of multilateral institutions has increased. What is more, and worse, is that as a result of the nefarious influence of authoritarian states, multilateral institutions often obscure the responsibilities of individual governments for upholding human rights, and create obstacles to calling human rights-violating states to account. Aaron Rhodes is President of the Forum for Religious Freedom-Europe, and a founder of the Freedom Rights Project. He was Executive Director of the International Helsinki Federation for Human Rights 1993-2007. Rhodes was made an honorary citizen of Austria for his contributions to human rights. He was educated at Reed College and the Committee on Social Thought at The University of Chicago, where he was awarded a PhD. This entry was posted in Aaron Rhodes, Commentaries and Interviews, International Organizations, OSCE, UNHRC, United Nations and tagged Human Rights, multilateralism, OSCE, United Nations. Bookmark the permalink.